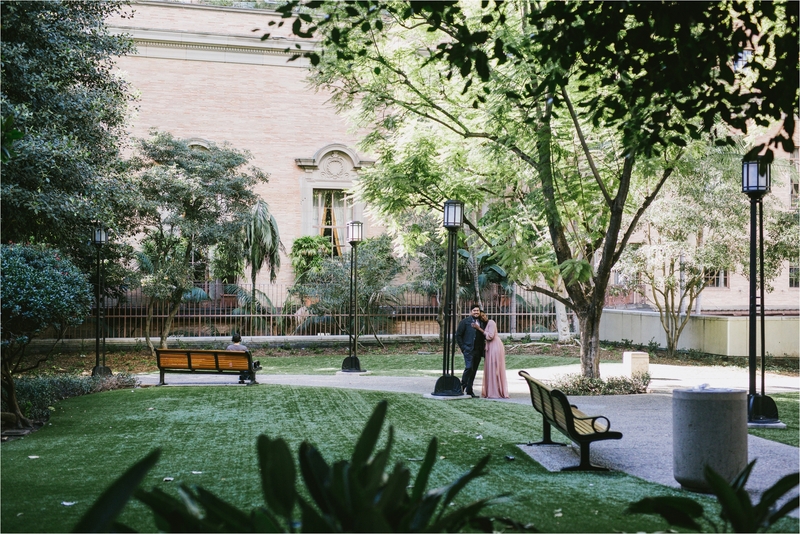 This proposal was a day that was years in the making. 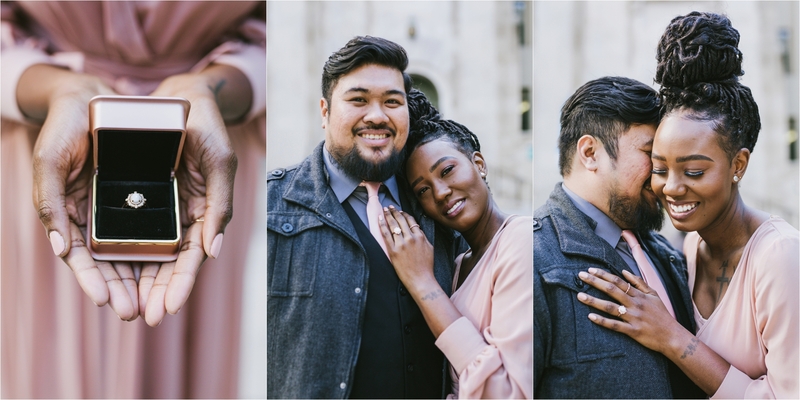 I was so excited to team up with Jerico (and Keosha of Eventual Concepts) help him plan (and photograph) his proposal to the love of his life, Tiarra. 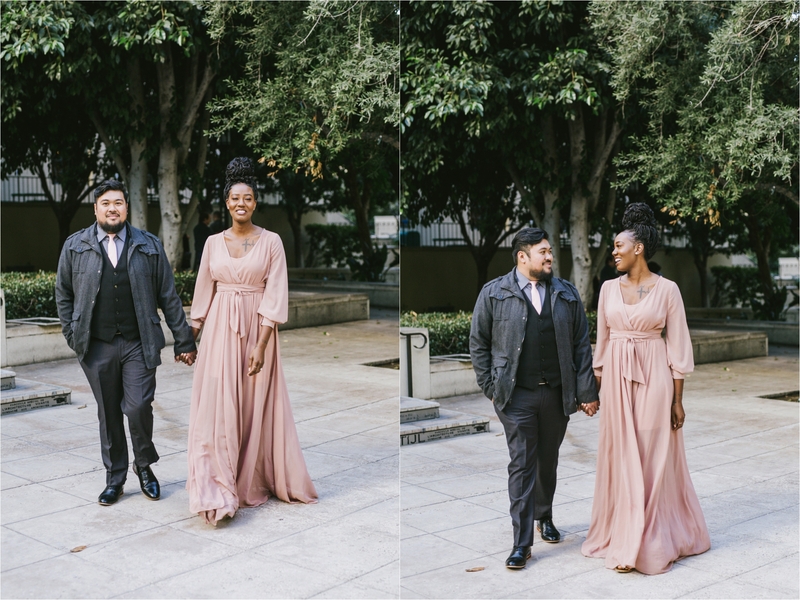 After witnessing my two friends grow in their friendship and love over the last few years and being on the receiving end of their trans-Atlantic and trans-continental phone calls (I was living in London for a year, Jerico was back here in Los Angeles, and Tiarra was living in Zimbabwe and South Africa for the year), we’ve they’ve finally made it! In early December, Tiarra expressed her suspicions that Jerico had bought her dream engagement ring. At that point, I had no idea that Jerico had concrete plans to propose. So I was totally telling the truth when I told her I didn’t know anything about him proposing because he hadn’t spoken to me about it. 🙂 But a few days later, Jerico called me to tell me his intentions of marrying her and then we started trying to plan ruse to get her to the location so he could pop the question. 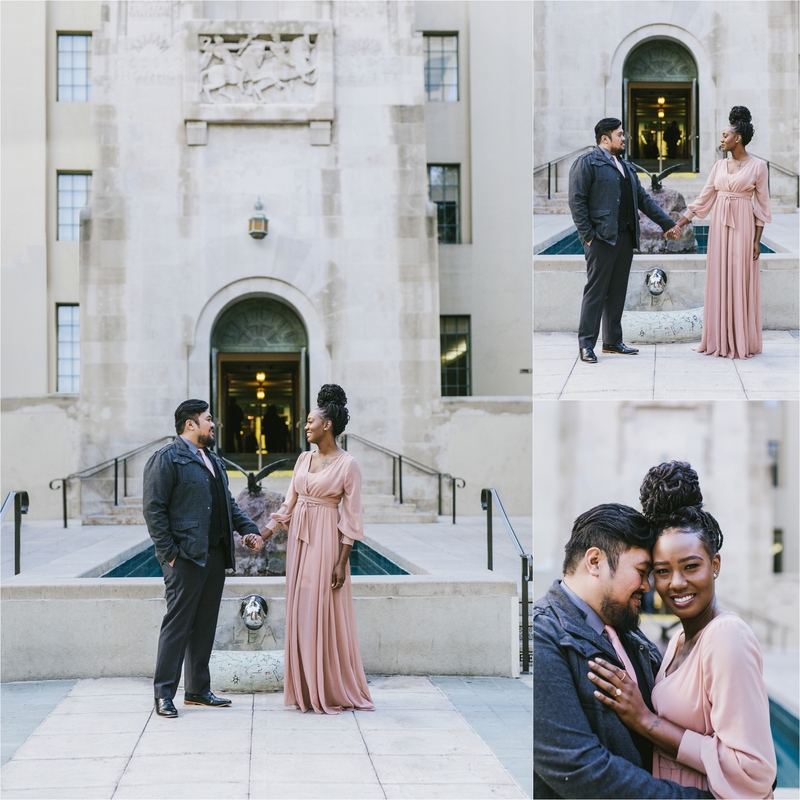 Jerico planned to propose at the Downtown Los Angeles Public Library which is one of Tiarra’s favorite places in Los Angeles and to also pay homage to one of her favorite movies, The Pagemaster. The plan was to tell Tiarra that Keosha and I needed a model for a photo shoot that we were going to be putting on at the library. Tiarra told me that she was very suspicious and thought that the proposal was actually happening until she saw Keosha standing there when we arrived. Then she figured it really was an actual shoot. …but of course it wasn’t just a shoot. It was a shoot yes, but not the shoot she thought. We walked into the children’s section of the library and there Jerico was standing and waiting for her with a sign that said “Tiarra, will you marry me?” and a ring in his pocket. After she said yes, their close friends and family came out to congratulate them. 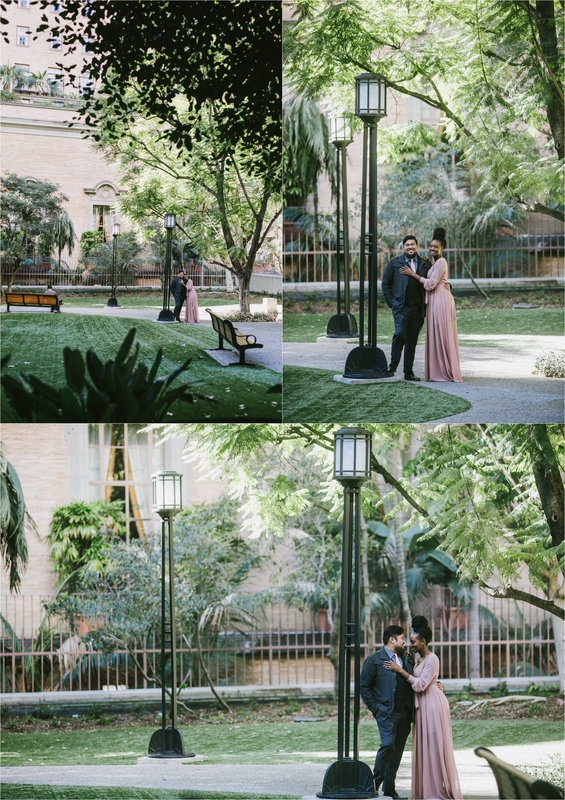 We then headed outside to capture a few photos of the newly engaged couple! 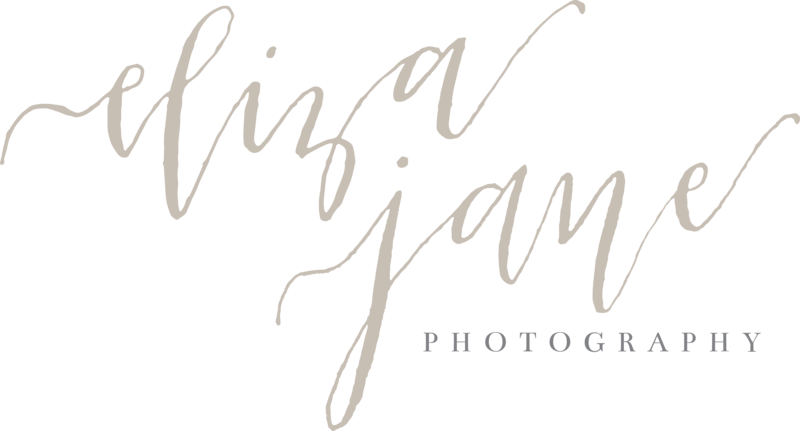 Congratulations to my dear friends Jerico and Tiarra! I am incredibly over the moon excited for you two and am excited to be a bridesmaid in the wedding!